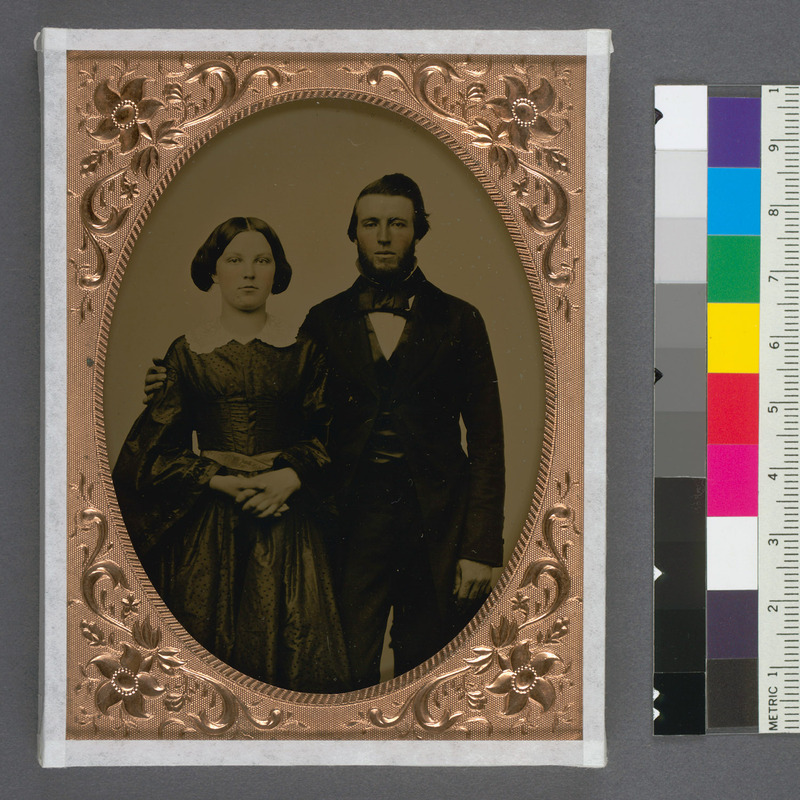 [young man and woman, ancestors of Mrs. C.F. Greene of Santa Clara]. 1 photograph: three-quarter length standing portrait: ambrotype; quarter plate, visible image 8.8 x 6.5 cm., BANC PIC 1905.16242:051—CASE, Zelda Mackay pictorial collection. ca. 1845-ca. 1885, The Bancroft Library, University of California, Berkeley. "Accompanying note (by collector Zelda Mackay): “Pioneer S.F. couple, ambrotype by R.H. Vance, ancestors of Mrs. C.F. Greene of Santa Clara.” Embossed in case pad: R.H. Vance's / Premium / Daguerrean / Galleries / San Francisco / Sacramento / Marysville. "